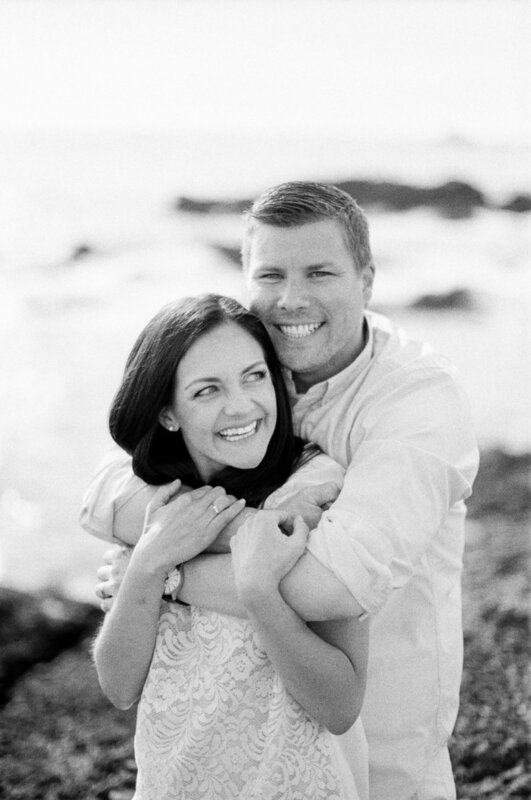 Rachel and Gary are one of the most warm, loving, and JOYFUL couples we've ever met. There's a light and kind confidence in their eyes that makes you feel like someone GREAT, because that is simply what they do. They lift you up and are a true blessing to everyone who is fortunate enough to call them a friend or family! From the beginning we knew that family is of the things in life that Rach & Gar cherish most, and they always kept that in the forefront of their wedding planning – starting with their engagement session that took place on Gary's family's farm! Carrying that passion into their wedding plans, they designed a day that not only reflected them as a couple but also encouraged all of their guests to join in the FUN! After a beautiful ceremony at Rachel's childhood parish in St Paul, the Church of St Mark, their guests made a lovely drive into the countryside of River Falls WI where the beautiful Larson Barn is surrounded by fields and giant trees. Things like an outdoor photo booth and cocktail style reception with amazing sweets made by their friend created an atmosphere filled with energy, conversation and laughter! To further personalize the Larson Barn they filled it with lights, vintage linens used at Rachel's aunt and uncle's wedding, wood chargers cut by her uncle, custom signs, amazing flowers all day long created by Rachel's aunt, and so much more!! Not only was their day beautiful and filled with style & energy, it was also overflowing with LOVE. A love so big that when they played the video Gary made for Rachel when he proposed to her, there wasn't a dry eye in sight. Gary took the time to collect video of each of his and Rachel's family members and laced them carefully together so sweetly. After hearing words of encouragement and praise from Rachel's parents, sisters & brother, as well as Gary's parents and brothers, the last one to speak was Gar. The words he shared and the fact that they have this video to cherish for the rest of their lives is powerful enough to bring us to tears as we type!! This beautiful example of love right before Rach & Gar entered the dance floor to dance their first dance as Mr & Mrs Seifert couldn't have been more perfect! After beautiful dances with their parents (and Rachel's family, who joined her & her Dad on the dance floor for a few sweet moments), all of their guests packed the floor and their evening took off! All images captured with Pentax 67, Hasselblad 500cm and Nikon F100 on Fuji 400H, Tri-X 400 and Delta 3200. Posted in All Posts, Weddings Tags: "barn wedding ideas", "larson barn river falls", "larson barn wedding", "Wisconsin barn wedding photographers", "Wisconsin Barn Wedding"